Wow!! Sharika Soal Stands Up to Maxine Waters!! 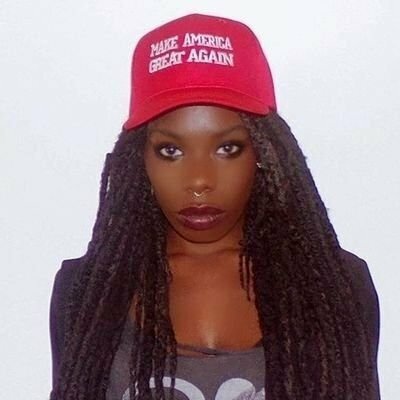 Sharika Soal Stands Up to Maxine Waters! Popular Twitter personality and Celebrity publicist Sharika Soal called out “Mad Maxine” Waters over her repeated calls for President Donald Trump’s impeachment. The 28 year California Democrat has recently become one of Trump’s most unhinged critics, and she continues to make bizzare speeches on her campaign trail that include anti-Trump rhetoric. “And when they say that, I say, ‘Impeachment, impeachment, impeachment, impeachment, impeachment, impeachment, impeachment,’” Waters said, later adding that she wakes up in the middle of the night and “all I can think about is I’m going to get him,” in reference to Trump. She added that it’s become clear that Waters is like a “Black Hitler” in his early days before the Holocaust by encouraging violence and disdain for Jewish people through public speeches by slandering them as evil. Sharika seems to be a woman after our own heart. She truly knows how to Keep it Naked! Stay tuned as we bring you more about the woman that’s certainly causing a stir!